"So sorry for your loss of daddy "
"Dear Ruth Ann and Family, We are so sorry for your loss. ..."
"I am so sorry for your loss. My thoughts and prayers are..."
"He was a great man who always had a smile on his face. My..."
Clarence Edwin "Frog" Wilson of Campbellsville, son of the late Lucy Kathryn Thomas Wilson and Clarence Edwin Wilson Sr., was born on March 14, 1942 in Taylor County, Kentucky. He died at the age of 76 on Wednesday, March 6, 2019. 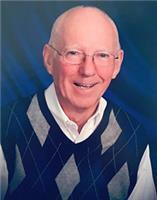 He professed faith in Christ and was a lifelong member of Campbellsville Baptist Church. Frog was a warm-hearted, generous man who was beloved by his community and was a friend and mentor to many who knew him. As the local Honda motorcycle dealer, he sponsored racing teams and brought joy to many central Kentucky young people. He also coached girls' softball and later in life became an avid house-boater. In addition to his parents, Frog was preceded in death by his aunt and uncle, Ethel and Robert Wilson; by his wife's parents, Corrinne and George Gaddie; and by his sister-in-law, Betty Gaddie. Funeral service was at 2:00 p.m., Sunday, March 10, 2019 at Parrott & Ramsey Funeral Home by Dr. James E. Jones and Rev. Earl West. Burial was in Campbellsville Memorial Gardens. Parrott & Ramsey Funeral Home.